Movie posters are always great dorm room decorating ideas. Movie buffs will have these cheap wall accessories displayed everywhere. Now with this Boiler Room Movie Poster - New American Dream Art you can have a great wall poster for your college residence hall. 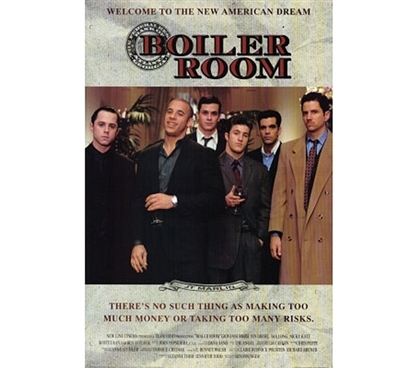 This Boiler Room dorm poster is a fashionable poster that will command you respect. This movie wall poster is 36" x 24", making it perfectly sized for dorm room walls and college doors. Dorm posters are cool decorations that students can appreciate, especially so because they are cheap college supplies. College students can never get enough dorm room accessories like this cool movie poster.